These tusks were unearthed mingled with placer gold. Evidence that the worlds placer deposits were leftovers of a worldwide catastrophe. A mine on a pacific island is said to be growing by 53lbs of gold a day. A modern day example of what was. The Noah Code represents the first major update on the Flood of Noah and its modern implications in over 50 years! All new maps, charts and graphics! ​Expanded to over 450 pages. ​Want to read your copy immediately? Use this FREE ePub reader from Calibre download the ePub vision from our STORE and start your journey right now! 3. Open Calibre, select the book of your choice in the downloaded file, select View in Calibre and enjoy your new title! Remember, digital versions, both ePub and Kindle have dozens of live links and important videos! ​Want to read in Kindle? Click HERE for direct link with most all references in link form. Whiston's "The Comet" - known and studied by Newton with its 575 year cycle as a possible Flood causative: a comet and Flood that modernists deny. Newton calculated this body passed between the earth and moon, smashing our crust and creating a tidal wave that passed across the entire planet. Documents human remains found globally. The Author uncovered an 1830's quote by the French warning the worlds geologists that a departure from the Flood account is now untenable, this proclamation due to the fact that they had unearthed so many finds of people with food stores in caves, these subsequently invaded by the mega-fauna (mammoths, tigers, bears etc..) that it would be foolish to pursue other naturalistic explanations, e.g. that the items migrated into place by burrowing animals. (The explanation given in modern archaeology texts). More VITAL quotes relating to human fossil finds in Europe lost and the Flood; expanded reference section. In 1737 William Whiston penned his classic, A New Theory of the Earth, proposing that a comet was responsible for the deluge. Whiston claimed this comet made cyclic revolutions along its circuit each 575 years since the creation date of approximately 4000 BC. Then on the seventh round, the comet made too close a pass by earth. According to Whiston’s hypothesis, in this round (he claims aligning perfectly with the date of the Flood, the 17th day of the second month after the autumnal equinox of 2349 BC), its course passed within 10,000 miles of earth, that is, between the earth and moon. Since the comet’s mass was 6 times the diameter of the luminary, it caused disastrous results on earth. Whiston cites collaborating observations by the Chinese and others, going back through the years 1767, 1193 and 618BC, including that of Caesar’s Comet of 44 BC, along with verified observations of AD 531, AD 1106 and AD 1680. The last pass caught the attention of none other than those masters of astronomy and mathematics Newton and Halley, who could not dismiss this possibility. It seems their observations vary from that of modern astronomers who doubt this comet’s existence, or acknowledging the historical record exists. They claim the sightings are from other independent ice travelers, not possibly from the most important comet ever to pass our planet! In truth Newton himself was a strong proponent of creation, the Bible, and a youthful solar system (<10,000 years). Always ready to defend his origins position, he likely of contrary philosophy compared to his modern counterparts. A day is coming when the truth shall be known. Trinity Broadcasting Network has scheduled an interview with Noah Code author Mark Rose! NEW PAMPHLET ON ORIGINS AVAILABLE NOW! Click here to order! This is the most powerful full color booklet on the subject of origins written in over 30 years. Covers the proofs provided in chapter one of The Noah Code that is shocking the entire world and more. Also includes orca and bat sonar, cell division, human origins, the MO-1 motor and much more. When I present these to the interested they literally take it out of my hands! Standard issue to Young Life clubs. Includes the Romans Road, QR code links to powerful videos and note section. Fully referenced. 36 pages, 10pt stock cover, pkg of 15. Breaking News!! Kindle version available Now!! The Noah Code is the culmination of years of research bringing to light a wealth of information lost to our times concerning the Flood. Did you know that when you order Noah Code on Kindle you can download on any computer! Further, when done reading you can share your copy and share again with anyone that has a Kindle or Kindle app (that comes free with all smartphones now). All they need a is an Amazon acct... Includes dozens of hot links and videos. Well footnoted and solid from cover to cover, this new work is founded on the original Hebrew Scriptures with a message vital to our times. The reader will better understand the truth of the Flood narrative like never before, certain to be an encouragement to your faith. The author revisits the man Noah, who's faith and obedience changed the course of mankind! Updated with the latest evidence and the works of past archaeologists/naturalists including Darwin, Cuvier and many others. From the Himalayas to the Andes, from South Africa to Antarctica, scientists agree that the remains of a past cataclysm are found everywhere. A compilation of over 35 years of study and field research, Rose logically and honestly sets the record straight about the Genesis Flood in easy to understand terms. Quoting authorities going back as far as records exist, along with Roses' nearly 30 year career working in the largest underground mines in the world, the reader will find this work thorough, Biblical and thought provoking. How is the message of Noah pertinent to our times? Early naturalists noted that many of the skyward facing mountain fissures (like Gibraltar) were found full of broken bones, these from extinct mammoth, rino, tigers, bears, etc including the remains of people, suggesting a floating biomass settled on them. An entire chapter is dedicated to this phenomenon. In AD 1470 a complete ship, crew and cargo were unearthed 1,000 feet deep in a mine near Bern, Switzerland and another in Greenland! Many caves were found with the remains of people mixed with extinct/modern animals, having the appearance that they were once confined together in struggle. One cave alone contained the remains of over 2500 bears. Where would you go if the earth was engulfed in earthquakes and typhoons for 40 days and nights, every structure flattened and the waters raising? Whale remains were found across 5 States by the first settlers in the Southeast, these in such quantity that huts and fences were built of their bones. Plesiosaur and whale remains have been found above 5,000ft in multiple locations, how did they get up to that altitude? Harvard Geologist Dwight Dana commented; "A giant wave must have crossed the continent." A clear event horizon was identified, showing first an extinction layer of human remains buried in flood deposits, later overlaid with signs of our modern ancestors. These races were agrarian, herdsmen and had art, a more gentile race; the offspring of Noah and family. This fact was of common knowledge cross the community of world-class naturalists before 1900, modernists now deny it, why? Coral reefs (requiring 70 degree water) and redwoods once abounded near both poles the early scientists recorded, and there were no ice caps. Much proof exists that the earth was far more livable and temperate than today. The "Very Good" Earth (Genesis 1:31) our loving God made in the beginning, destroyed in the Flood! The true Hebrew text word meanings are explained, vital to our understanding of Gods goodness and what really happened as recorded in these early chapters in Genesis. Noah Code documents these finds and many more! "This book is an amazing resource for those seeking an accurate answers on how God's word, His creation, and scientific evidence are in alignment. 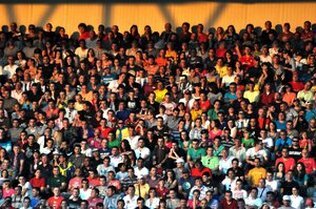 It gives people hope that God's design and history are woven into the very fabric of our world. We are not a cosmic accident! Mark Rose does a masterful job of sharing the hope of the gospel through evidence seen in God's creation. Thank you! We will use this book to encourage students across our country who don't have a voice when defending their faith!" "Mark Rose does an incredible job at explaining not just biblical process of Gods creation but scientific and logical. He uses terminology people can understand and puts perspective on a controversial subject. This book is great for anyone looking for an informative, honest read on the subject. We will be using this material for teaching in future! Highly recommended. "I anticipated alot out of this book. To be moved to tears was not one of them. That is exactly what the author did with his Dedication. From the first page to the last, The Noah Code is filled with information. It is not a book you will read once and leave on your bookshelf. 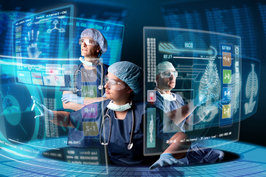 Within the appendix is a wealth of research. The time and organization that went into this work is remarkable." Jesus said; "Just as in the Days of Noah, So shall the coming of the Son of Man be!" Mark Rose has worked above and beneath the Earth for over 30 years. His travels around the world serving in the largest underground mines and flying in Alaska has proved to him one thing: That earth in the not distant past experienced a grand cataclysm, a cataclysm that's been largely ignored by institutional science. In The Noah Code he sets the record straight. Rose is a patent holding inventor/engineer, geology researcher and commercial pilot. On the left, the Grand Canyon, eroded as the flood waters ran off the earth for 150 days. On the right, The St Helens Canyon, eroded in one day by a backwater created after the eruption. Learn more about this geologic feature and more in The Noah Code! Remnant Topology in the Southwest. The Flood removed the rest of the land. Included is an updated work on flood stories from around the world, including Chinese (with translated characters, see below), from 2200 BC. Includes a lost Athabaskan native flood testimony recorded by then territorial Judge James Wickersham in 1903. The author uncovered a number of authoritative works on the flood subject dating back hundreds of years, now recorded for the first time for our generation. Read this volume and you will never take the Flood of Noah for granted again. Don't allow your children to be wrongly influenced by the false teachings of modern origin "science" any longer, the Bible is true and the flood, one global in scale, did happen! Order your copy and join the Truth Invasion today! 3. Why the Flood Event? ​Reported in Science magazine this June, Northwestern University Steven Jacobsen and seismologist Brandon Schmandt of the University of New Mexico have confirmed reservoirs massive size, capable of holding water equivalent in volume to three of earths oceans, shedding new light on the origin of Earth's water. "It's good evidence the Earth's water came from within," said Jacobson. The water is contained in a mineral called Ringwoodite, a blue rock that lies 400 miles (700 kilometers) underground in the mantle, the layer between Earth's surface and its core. The discovery is based on data captured using about 2,000 seismometers over a multi-year study. "We should be grateful for this deep reservoir If it wasn't there, it would be on the surface of the Earth, and mountain tops would be the only land poking out." Jacobson commented.1 The researchers also mentioned the probability that this water could easily be converted and sent to the surface if it had an escape path. As amazing as this find is, it shows us again how new evidence such as this dashes all the past arguments regarding the impossibility of a Global Flood due to lack of water. Fact is, there is plenty available to cover the planet. This story is fairly hard to top as proof that all the water necessary was present to entirely engulf the surface. More will be found in the new volume The Noah Code - Genesis Alive team. The Left Hand character set has been in use for centuries. Its meaning profound! 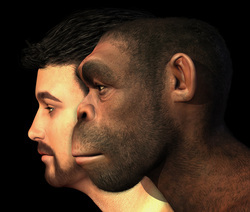 ​See our Human Origins post on the topic - The Question of Human Origins - Genesis Alive! "Mammalian genomes encode about 16 distinct DNA polymerases that participate in different aspects of DNA replication, DNA repair, recombination, or bypass of DNA damage"
These polymerase enzymes act to repair or bypass damaged DNA sections. So when a damaged portion is encountered, replication work stops temporarily and the lesion is bypassed by a process called "translesion synthesis," or by switching to another undamaged copy of the DNA. If this system were implemented using computers and RAID hard disk arrays, we would applaud the genius who designed it. But when we see similar designs on a molecular level, operating with efficiency we can only dream of, we attribute it to time and random processes. ​Soon to be a Movie! This story records the life of a young pilot flying in Alaska’s Frontier Arctic. You’ll experience the front seat thrills of bush planes and helicopters operating in the most dangerous conditions on Earth; flying in minus 60 temperatures and horrific storms, airborne among the magnificent mountains, glaciers and rivers that only Alaska has to offer. Once you've read this volume you’ll not be satisfied until you visit Alaska yourself! Includes true-life experiences of accidents, comradeship, humor, heartbreaks and life in Frontier Alaska, gone forever when dismantled into parks and native lands in the 1970’s. Opens with an interesting early history of the 49th State, leading to the eventual use and development of a new tool of transport – the single engine airplane, but not without extracting a terrible price. Experience what it was like to growing up among the dangerous game, hunting the massive caribou herds and absorbing the greatness of the Territory. The story concludes with a crisis encounter that forever changed the pilot's life. Pilots will gain from the flying experiences related, includes new Appendix with life saving operational notes on pass and mountain flying found nowhere else plus many important links for Alaska flying. Every boy, man and aviator won't be able to put this one down, and more importantly, be compelled to grapple with its final truth. Available NOW! 174 pages, dozens of unique images and sketches. I find this book so fascinating. This book makes me regret not having visited Alaska when it would have been easier to do so. 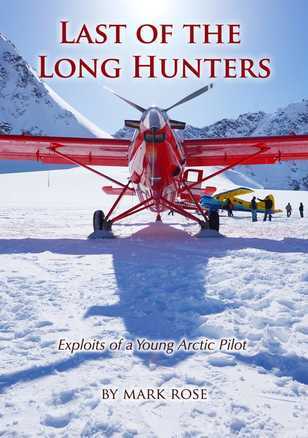 There is so much about your book that I like, and it seems to me that you have effectively pulled together the history of Alaskan aviation with your own story that it makes compelling reading. I kept thinking that this book must be a special blessing to your kids, not just because Dad has written a fascinating book, but because through this book they can know a side of you that they might not get to know any other way. I was fascinated to work my way through this information. Everything from the “rules of” to the check list to how certain equipment actually saved lives in a crash situation, this section was like a compelling exercise for my brain. I highly recommend this book! This is a fantastic read with a big payoff. This is a great read for anyone who loves history, aviation, hunting and true life stories. We've all enjoyed hearing those unbelievable stories growing up, around a campfire or the dinner table. Those stories that have you on the edge of your seat and the ones that create heroes. This book is an incredible story and a true story the author lived through and changed his life forever. In addition I enjoyed the setup with the history of Alaska, his growing up in Alaska, the visual journey the author takes you through heading into the vast unknown of the Alaska territory. I'm not a pilot but I found myself following the author's routine and there are a lot of tips in the appendix of the book that are his notes to other pilots where he is wanting to pass his wisdom along. Looking forward to reading more from the author! Would make a great movie! No portion, text or image of this site maybe be duplicated or copied, digitally or imaged, without the express written permission from Genesis Alive LLC. Copyright 2018 ​All rights reserved. ORDER THE LAST HUNTERS HERE! All NEW Version! 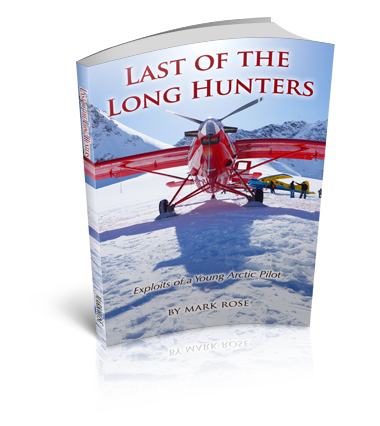 Last of the Long Hunters is the greatest Alaska hunting/flying story ever told! If you have a friend that likes adventure and could use encouragement about the existence of God, then this book is for you! See reviews bottom of this home page. We are thankful for every visitor here at The Noah Code and The Genesis Alive Project. We depend upon your patronage. Please visit our contact page and support us. More to come! New Dinosaur page click here! This new work from Mark Rose combines 3 decades of sound financial stewardship teaching into one comprehensive volume. 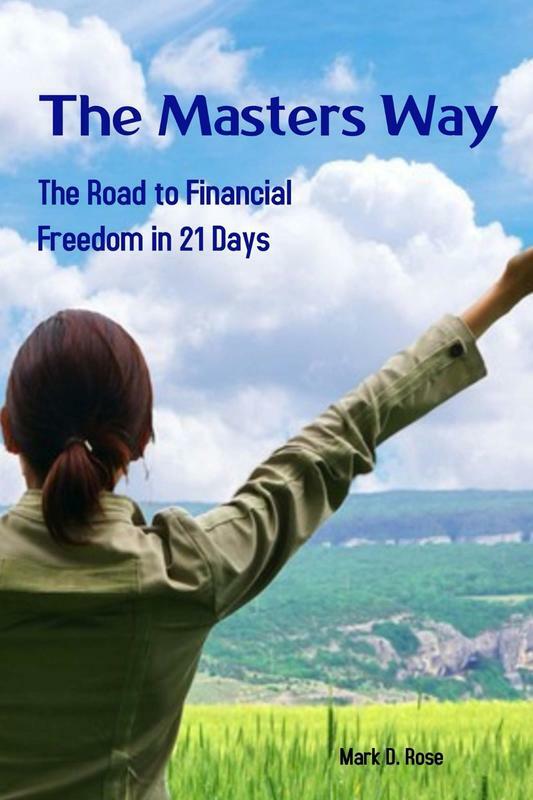 160 pages with 36 images and a plethora of excellent and helpful forms will put quickly put you on the path to financial freedom in a few short weeks. Designed to use with the new www.masters21day.com app with 21 scripturally based quizzes, award based motivation and a Certificate of Achievement upon completion or standalone. Also on Kindle. See www.twomasters.org form more..